Texas Gun Repair is a Veteran owned and Family operated business. At this time we are only accepting walk in business with the exception of black powder firearms. Our facility is a different style of gunsmithing and repair facility that specializes in fast turn around, usually the same day. The exception is a project that requires parts ordered or time consuming operations that require extra time. This style of repair requires appointments for consultation where the repair or troubleshooting can be made. I only take on one project at a time to keep quality high and turn around quick. Call us for current wait times on an appointment or turn around times for black powder firearms sent by mail. 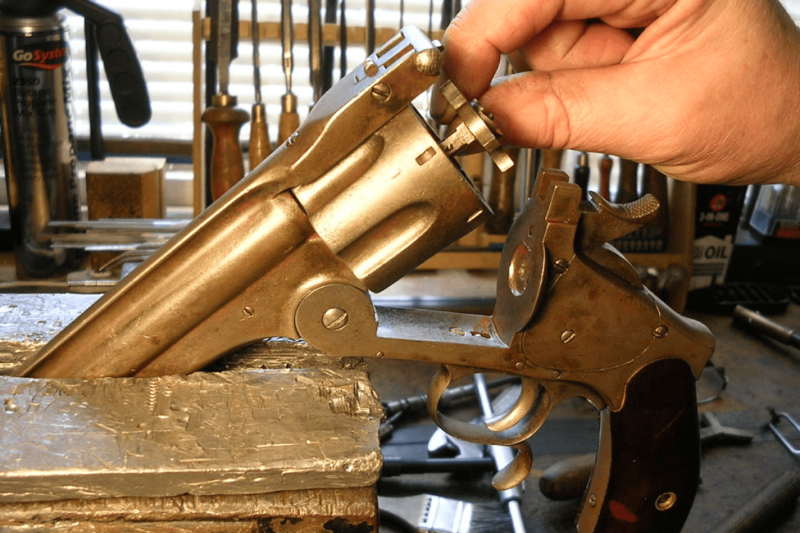 Always call Texas Gun Repair first before coming out to our repair facility and before shipping any type of black powder firearms. Shipping improperly packaged or uninsured firearms is not the responsibility of Texas Gun Repair. 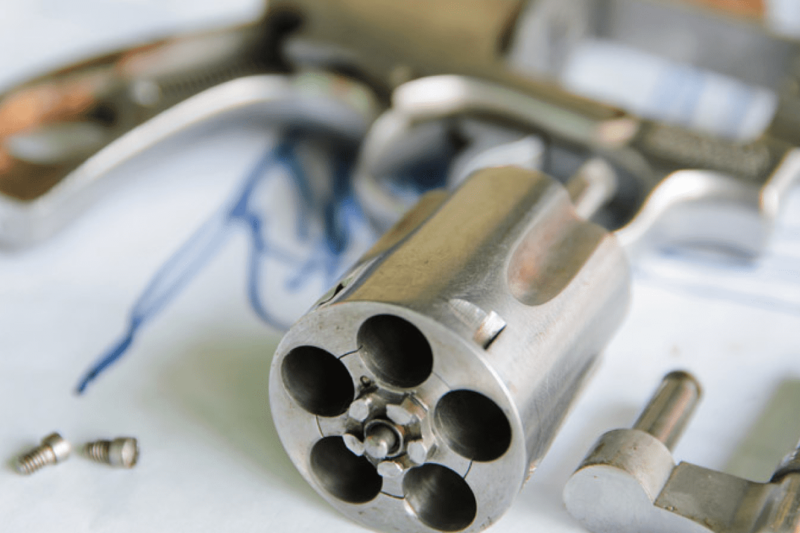 It is the responsibility of the shipper to know the rules and regulations on how to properly ship any firearm. 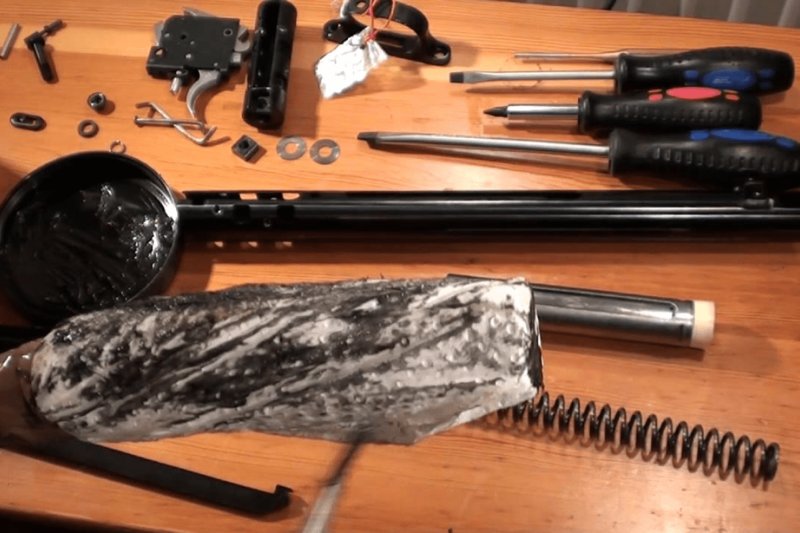 Proper packaging is only a preventative measure to keep a firearm from being damaged. That is why you insure your package for what it is worth to you. That being said I usually attach a long gun to a solid plank of wood or make a wooden box that fits into the cardboard shipping container. The long gun is then attached to the plank by padded ties then surrounded by packing materials (waded newspaper, packing peanuts), the cardboard packing container is then sealed and reinforced by crisscrossing tape in a grid like pattern. Sounds excessive? Most packages I usually receive are damaged in some way, so I take no chances. Even with insurance offered by your chosen carrier good luck getting paid. Always read the fine print from you carriers insurance policies. Directions to my facility will only be given by phone or sometimes email to maintain security and privacy. Pistol repair content will be placed here. Additional detail content should be placed here. Rifle repair content will be placed here.